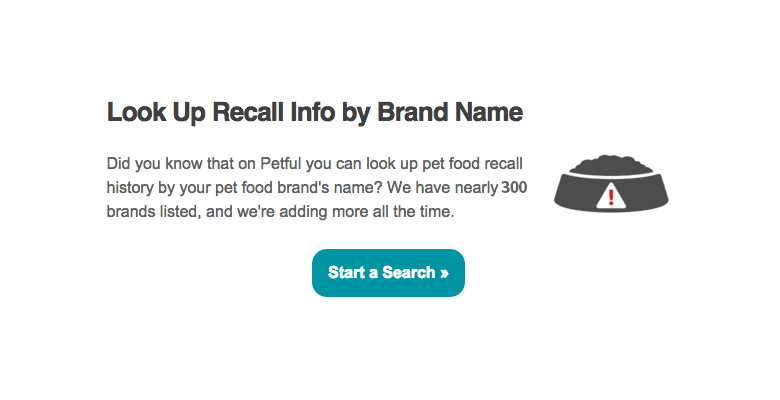 Has your dog food or cat food brand ever been recalled? Check this list! The ♥ symbol means the brand has never been recalled in the United States. Click the links to read the full details. We add new brands to this list occasionally, so we recommend that you bookmark this page. Don’t see your pet food brand below? Suggest it to our research team.